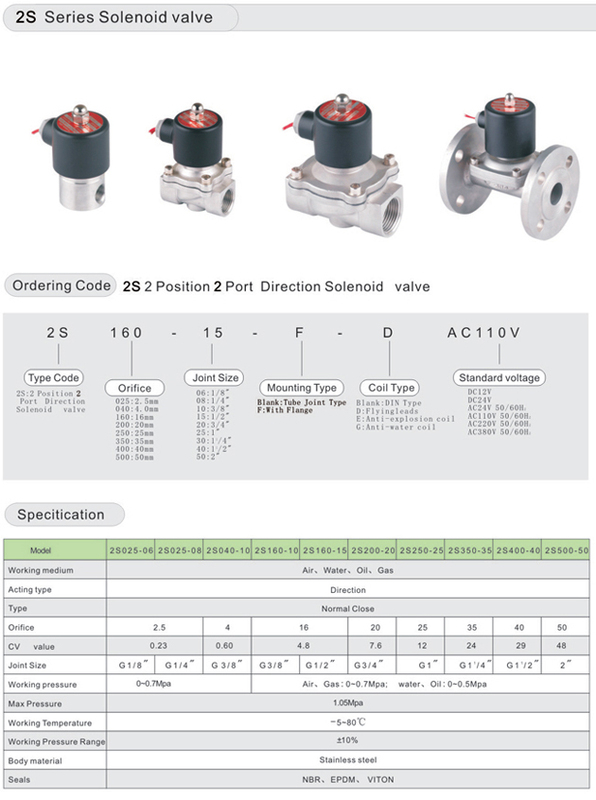 2S series stainless steel solenoid valve, thread size range from 1/8" to 2", body materials is S.S.316, good anticorrosive ability, sealing materials have NBR, EPDM and VITON, high temperature type is available. Din connector and flying leads types, anti-explosion and anti-water type coil are available. Suitalbe for the medium of air, water, oil and gas. 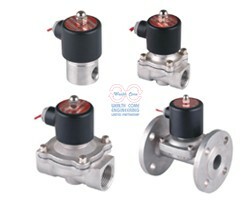 Because of the high stable performance, 2S valve is well known in this field. ต้องการข้อมูลเพิ่มเติมเกี่ยวกับ โซลินอยด์วาล์วแบบสแตนเลส Solenoid Valve 2S Series Stainless Steel ?